Children’s allergies have become epidemic in this country; they can begin as early as birth! The 2014 National Health Interview Survey (NHIS) reported that 10% of US children under age 18 suffer from respiratory allergies, 8.4% from hay fever, 5.4% from food allergies, and 11.6% from skin allergies. Asthma is also linked to allergies. In fact, WebMD reports that 90% of children with asthma also have allergies. The triggers that cause allergies can also cause asthma symptoms. Orlando, and several other Florida cities (including Tampa, Lakeland, Daytona Beach, Jacksonville, Miami and others), consistently appear among the top 100 “Asthma Capitals” in the US, as ranked by the Asthma and Allergy Foundation of America (AAFA). Orlando ranked #64 in 2015 for Asthma and #81 for Allergies in Fall 2016. Allergies increase histamine and other inflammatory biomarkers in the body. Inflammation in a child’s body can develop into serious conditions, such as ADHD, anxiety, behavioral disorders, sleep disturbances and other illnesses. The inflammation from repeated ear infections can affect speech and long-term hearing. Food allergies are scary and cause anxiety for both parents and children! Naturally, we want to test for and treat allergies before they worsen and cause other serious inflammatory illnesses. 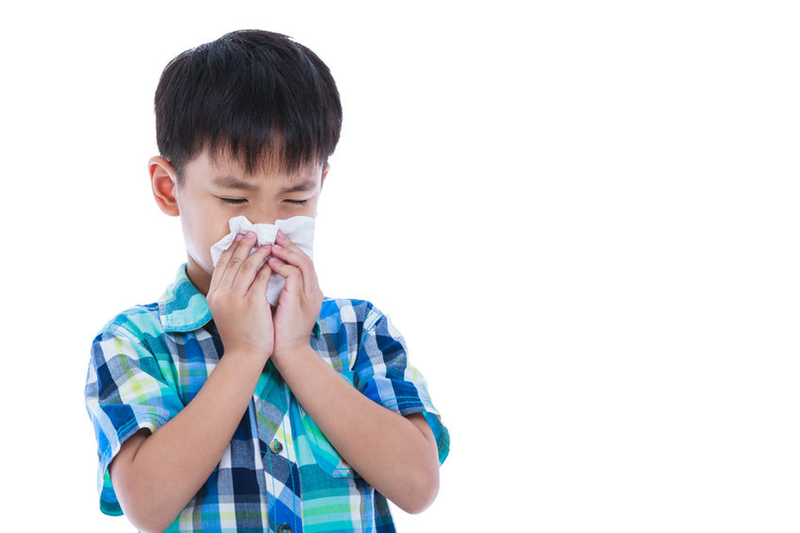 How Do I Know If My Child Needs Testing for Allergies? Usually, severity and duration of allergy-related symptoms will answer this question. Your child’s quality of life can be seriously diminished if he/she deals with recurrent symptoms! Related allergy symptoms include asthma, hives, eczema, chronic sinus/ear infections, runny nose/nasal congestion, itchy nose/eyes/throat, coughing, sneezing, headaches and fatigue. In addition to the list above, food allergies can cause gastrointestinal problems and severe reactions. Allergy testing can be done via blood test or a skin scratch test. This involves a brief series of scratches or pinpricks on the back or arm with small amounts of allergen. Your doctor looks for areas of redness or raised skin to determine which allergens are causing problems. No allergy test is 100% accurate—some patients can score very low on allergy tests, but show clear allergy symptoms. For that reason, most doctors combine the test results and your child’s detailed health history when recommending treatment. Antihistamines and other medications only treat symptoms and therefore offer only temporary relief from allergies. They also have side effects, cause addiction, and are more dangerous for younger children. Luckily, there are much safer and more effective options available–and they happen to be very natural, too. Immunotherapy is the only treatment that has been proven to change an underlying allergy—not just its symptoms. It starts with an allergy serum that contains traces of common pollens mixed into a saline solution. As your body is exposed to these pollens, it develops immunity to them so it will stop overreacting every time it encounters them in nature. This solution can be delivered via injection or sublingually. For over 40 years, European doctors have been using sublingual (under-the-tongue) allergy drops that are just as effective and safer than shots. The drops absorb into the bloodstream through cells in the mouth. Allergy drops are an especially good choice for kids. There are no weekly doctor visits, no needles to be afraid of, and because of their safety record, drops can be given to children under 5 years old. If you have a child with a food allergy, you know how inconvenient and stressful it can be to avoid reaction-causing foods. Sublingual immunotherapy has changed that. Allergy drops have been shown to be safe and useful in desensitizing children to allergy-causing foods such as milk, eggs, wheat, rice, and soy. Salt has been used in medicine for thousands of years. Hippocrates (the father of medicine) is said to have first invented a treatment that involved breathing in hot steam from boiling salt water. More “recently” in the 1840’s, Dr. Felix Boczkowski noted that salt mine workers in Poland suffered less from respiratory ailments. He hypothesized that breathing the salt particles in the mines kept the workers’ respiratory systems healthier. His studies led to the invention of speleotherapy (salt cave therapy). A 2006 study published in the New England Journal of Medicine found that salt inhalation was an effective additional treatment for cystic fibrosis. The use of halotherapy has spread throughout Europe and Canada and is gaining popularity in the United States. Salt therapy involves–you guessed it–sitting in a salt-covered room and breathing in microscopic salt particles. This is meant to recreate the effects of a salt cave–a simulated microclimate. Pharmaceutical-grade salt is pulverized and pumped into the room by a halogenerator while you relax, enjoy music or read. Children can play with toys and with piles of salt (kind of like sand at the beach) while they get their therapy. Salt acts like an expectorant, accelerating mucus clearance and improving lung function while killing harmful bacteria and soothing the respiratory system. These mucus-clearing, anti-inflammatory, antibacterial effects have been shown to relieve symptoms of acne, allergies, asthma, COPD, colds, flu, cough, cystic fibrosis, dermatitis, ear infections, eczema and sinusitis. At Cannizzaro Integrative Pediatric Center, we offer both allergy drops and halotherapy in our newly-installed Salt Room to assist our patients with allergies, asthma and other conditions. Want to learn more? Bring your questions and ask Dr. Cannizzaro at our next in-office event.